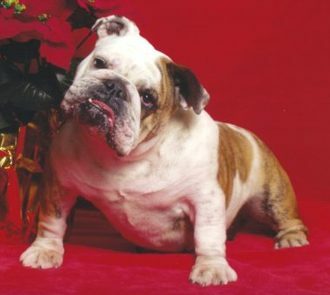 QualityDogs.com is your home for puppies, dog breeders, and dog health information. If you are a dog lover who is interested in learning about dog breeds, researching dog breeders, or even finding a puppy to add to your home, you are in the right place. To find current puppies for sale by site members, or to search our entire dog breeders list by breed, click on the menu bar to the left. While you are here, don't forget to check our out informative Dog Articles section, and post your own pictures and comments on our Breed Profile pages! Are you a responsible dog breeder? Click here to find out how to join QualityDogs.com and appear on the site! To Train or not to train. for an Irish Terrier puppy, it will be well advised to find an experienced terrier trainer. 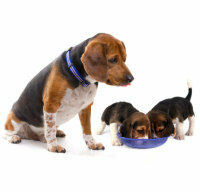 Balance with proper socialization early on in your puppy's life. Get your puppy accustomed to nail trimming and grooming now. You don't necessarily need to groom an I.T. puppy, but get them used to the feel of a smooth soft bristle baby brush (for example). If you wait until later, it will not go as smoothly. Choosing an Irish Terrier puppy with a sweet temperament is important, but no guarantee forever. Be very wise when introducing to other dogs, make sure they are also very nice dogs. If exposed to aggressive behavior, an Irish Terrier will of course defend itself, and there will be no turning back. Avoid situations where your pup is forced to defend itself. That is your job, to keep your puppy safe at all times and in every situation. Recently we rescued of Glen of Imaal from our local SPCA. She is 4 yrs old and is a very focused little girl. A mind of her own, not real affectionate, but very loyal at the same time. She has trained me well. Grooming Reqd Proper coat requires regular brushing and hand stripping by a knowledgeable groomer. The Brussels Griffon is a breed of toy dog named for the griffin, a mythological animal, which it is said to resemble. The Brussels griffon seems to have descended from a dog used by 17th-century Belgian peasants to rid their stables of rats. The ancestry of the modern breed includes the Affenpinscher, the Smooth-Coated Pug, and the Ruby Spaniel. Brussels Griffons have distinctive short, upturned faces, large, round heads, short noses, and unusually large and prominent black eyes. The male Griffon from 7 to 12 pounds. The female is slightly larger. The Brussels Griffon is intelligent, alert, sensitive, and full of self-importance with an almost human expression. They are inside pets, good with other pets and children of all ages. There are two types of coats, rough and smooth. They come in colors of Beige, Black, Black and Beige and Red. Courtesy of Kelly Crawford, KMC-Kennels. What's the coolest dog name you ever heard? Do you think dogs can read our emotions? We met a couple at the pet supply store who's dog was named ""Ed."" You know a dog named Ed is gonna be cool! I think the coolest dog name EVER is ""Strudel."" Probably has to be a German dog, though, like a German Shepherd. I have heard some good ones over the years but I rather like my own. Three of them are Veruca, Sweeney (Todd) and Ellen Degeneres. Riverstead's Mad Dog Skull Cap ""Deogie pronounced D.O.G.